Slovak authorities have extradited an asylum seeker from the Russian Caucasus region of Ingushetia to Russia, the Justice Ministry said on Wednesday, despite protests by rights watchdogs and a UN Human Rights Committee ruling. Aslan Yandiev had been held in custody in Slovakia since 2011 on a Russian warrant for involvement in a series of bomb attacks in 2006 in Vladikavkaz, Russia’s FSB security service said in a statement. 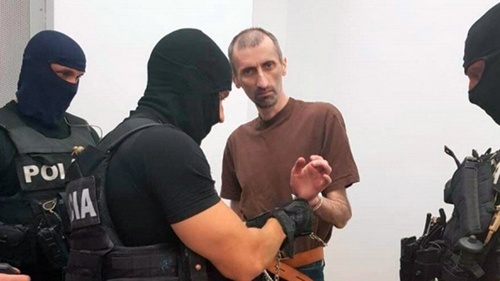 Yandiev first asked for asylum in Slovakia under a false name in 2008 after fleeing Ingushetia, saying he had been tortured into confessing to terrorism-related crimes, his attorney Lukas Opett told Reuters. The asylum procedure has not been legally closed yet, which makes his extradition unlawful, Opett said, adding he had not been able to contact his client since Friday and was not officially informed about the extradition. Slovakia’s Justice Ministry said in a statement it went through with the extradition on Tuesday, one day before the 60-day period since the minister gave the green light in May expired. “If Slovakia had not extradited Yandiev on Tuesday, it would have had to release him from prison. That would pose a security threat given that he’s wanted for terrorism charges in Russia,” the ministry said. Bratislava-based rights watchdogs Human Rights League and Amnesty International Slovakia protested against the extradition, saying it violated a preliminary ruling by the UN Human Rights Committee in June that banned Slovakia from extraditing Yandiev. “Yandiev faces risk of torture and other ill-treatment in Russia,” Amnesty International Slovakia said. The ministry based its decision on an earlier ruling by the European Court for Human Rights, which in May refused to issue a similar ban. Russia gave guarantees to inform Slovakia on Yandiev’s whereabouts and allow him to meet with representatives of the Slovak embassy, the ministry added.